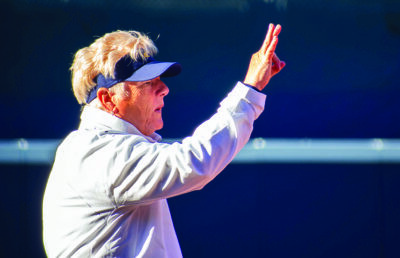 Dead last in the Pac-12, the Cal softball team (22-18) is inside an abyss of mediocrity, looking for everything and anything to pull it closer to prominence. Although the play on the field doesn’t match the Bears’ dreadful eight-conference-game losing streak, they need to win this weekend’s series against Oregon State (19-14) to preserve any hopes of a fifth straight postseason appearance. “I think we are competing pretty well. We aren’t losing sight of what we need to accomplish, like getting to the postseason. The little things that we’re doing right, we are just trying to build from those,” said sophomore outfielder Mikayla Coelho. 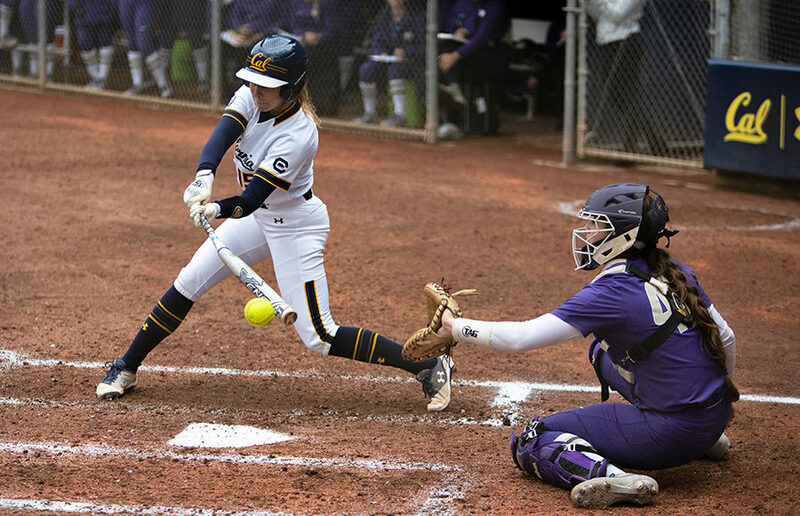 On Wednesday, Cal beat Saint Mary’s College (7-27) with ease, 8-0, after a three-run homer in the third inning from freshman infielder/catcher Makena Smith put the game out of reach for the Gaels. Senior starting pitcher Kamalani Dung gave up no runs, allowed two hits and struck out seven batters in her 10th complete game of the season. The dominant performance was yet another example of what this team is capable of when it is firing on all cylinders. 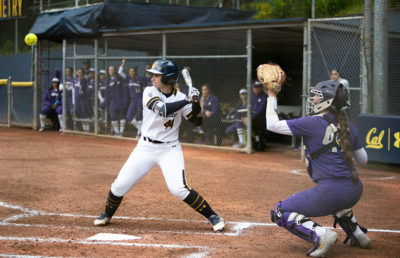 Cal compiled 11 hits on the evening and gave Saint Mary’s no room to maneuver at the plate, which are satisfactory facets that normally evade the Bears at inopportune times so far throughout this season. Inconsistent pitching and a lack of clutch hitting let the Bears down last week against No. 4 Washington. Cal left the bases loaded multiple times over the three games while giving up 18 runs on the mound against the onslaught of speed and power throughout the Huskies lineup. These pitfalls have resurfaced on a continual basis for the Bears so far this season and have been catastrophic in terms of the impact they have had on game results. Cal ranks first in stolen bases, third in hits and fifth in overall batting average over some of the country’s best offenses in the Pac-12. To say the Bears have been hard done by in some of their toughest losses this season would be an understatement. They’ll have their best shot at redemption this weekend against Oregon State, which ranks just above Cal, filling the eighth spot in the Pac-12 standings with a 1-9 conference record. The Beavers have lost nine straight conference matchups — most recently at home to Stanford, 3-2. They rank last in nearly every major offensive stat category in the Pac-12 and have a less-than-menacing pitching staff whose inflated combined ERA currently sits at 3.36. Oregon State’s biggest threat is undoubtedly freshman infielder Frankie Hammoude, whose low .276 batting average does very little to mask her overall success at the plate so far this season. 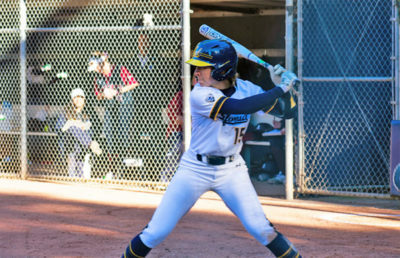 Her patience and pitch selection at the plate have been remarkable for a first-year player, tallying 21 walks, nine home runs and 29 RBIs so far this season. On the base pass, the Bears will need to keep an eye on senior outfielder Shelby Weeks, who has a team-leading 27 runs on 27 hits with 12 stolen bases. Also, it’s crucial that the Bears minimize their defensive hiccups while coming up against the lesser teams in the Pac-12. Oregon State has one fewer error than the Bears, with 50, having played seven fewer games than Cal on the season. The Bears hold the edge in terms of the all-time record against Oregon State, with it currently at 86-40. Last year, the Beavers won two of three matchups against Cal on their way to a 30-28 finish on the season. Bears senior Lindsay Rood will look to add to her league-leading 60 hits — ranking her fourth in the nation — this weekend. This pivotal series will begin Friday at 3 p.m. at Levine-Fricke Field and continue with game two at the same time Saturday before wrapping up Sunday at noon. Each game will be shown across the Pac-12 Networks. Spencer Golanka covers softball. Contact him at [email protected]. Follow him on Twitter at @sgolanka.